You served your country. 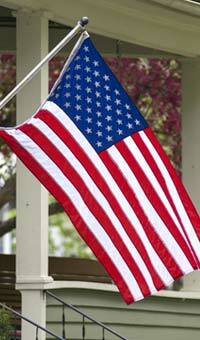 Now let your country and Waterstone Mortgage serve you with special financing just for veterans. VA loans are a special type of home mortgage designed to provide long-term home financing to active military members and veterans. In many instances, their interest rates can be better than other conventional loans. These home loans are guaranteed by the U.S. Department of Veterans Affairs and are offered by participating approved lenders like Waterstone Mortgage. VA loans allow eligible veterans and active military personnel to realize their homeownership dreams and help existing VA homeowners with money-saving refinance options. In order to apply for a VA-sponsored loan, you will need to obtain a Certificate of Eligibility (COE). Your COE verifies to lenders that you meet the requirements necessary to obtain a VA-sponsored loan. Applying for a COE is straightforward and can be done online, through the mail, or through a lender. Active duty military personnel and current National Guard members or Reservists who have never been federal active service will need to present a current statement of service to obtain a COE. Veterans and current or former National Guard members and Reservists that have been activated for federal active service will need to present a DD Form 214 confirming their past service. Get started by finding a mortgage loan professional in your area! A VA loan is a government-insured loan subject to certain qualifications and restrictions. A VA funding fee is typically required, which can be financed into the loan amount. If you are a servicemember on active duty, prior to seeking a refinance of your existing loan, consult your legal advisor regarding the loss of any benefits you are entitled to under the Servicemembers Civil Relief Act or applicable state law.